Sometimes, I find myself watching a film for very strange reasons. X Marks the Spot, for example. I was looking at this blog’s alphabetical list of films, and realized that I had blogged about films starting with every letter in the English alphabet, except X. I am a fan of balance, unity and harmony, so I set about to find myself an X film at the Internet Archive (no, not that kind of an X film). This proved easier said than done, but two films eventually turned up with the title X Marks the Spot. Finding that one was a remake of the other, I went for the original, and to my great satisfaction, it turned out to be quite a gem of a film. Before I go on, I should probably mention that there is one big problem with the available copy: image quality is terrible. A good copy may not exist. Apparently, the original negative was deliberately burnt during the filming of the great fire in Gone with the Wind (1939). Sound is not great either, but good enough, especially considering that sound in the early 1930s was not very good even under the best of circumstances. The plot is difficult to describe without giving away too much, but it involves a reporter who needs money for an operation to save his sister’s life. He puts himself in debt with a criminal, only to find, years later, that he may have to cash the debt in an unexpected and unpleasant way. 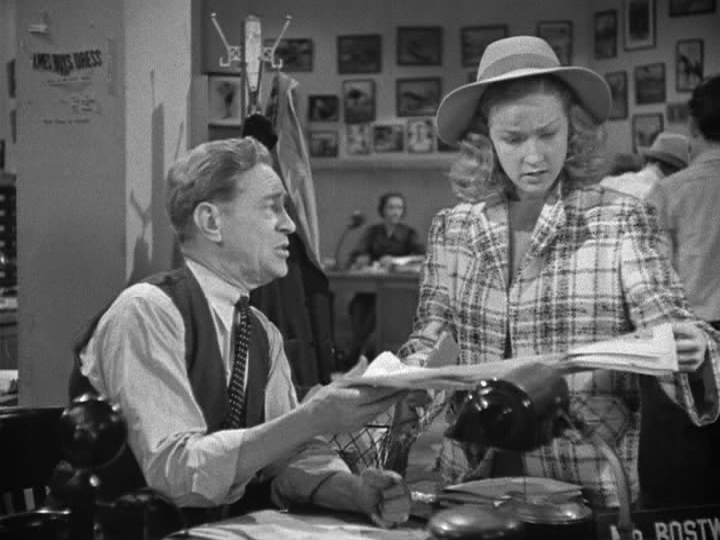 Wallace Ford plays the reporter and Lew Cody gives us a genre cliché with his hot-tempered editor-in-chief. The best thing about X Marks the Spot is the snappy and often funny dialogue. Accounts differ regarding when the first real screwball comedies were made, but this is definitely a big step in that direction, even though some say that proper screwball only appeared a few years later. As I hinted above, a remake with the same title is also available at the Internet Archive. From what I have been able to find out, however, it is not as good as the original. This film is best enjoyed if you like The Front Page (1931) and want more of the same. X Marks the Spot is not quite as good, especially not the actors, but it shares similar environments, similar dialogue, and there are some parallels in the plot, also. Sensitive viewers will be advised that the film contains some unfortunate racial stereotyping. Back when I was a kid in Sweden in the 1970s, there used to be a famous series of books for kids. (In fact, that series was published for almost 100 years, and there were over 3,000 titles.) The backs were alternately green, for boys, and red, for girls. I mostly read the green ones, with Biggles as my big favourite. But on occasion I was attracted to one of the red books as well, and in particular the ones about Nancy Drew. 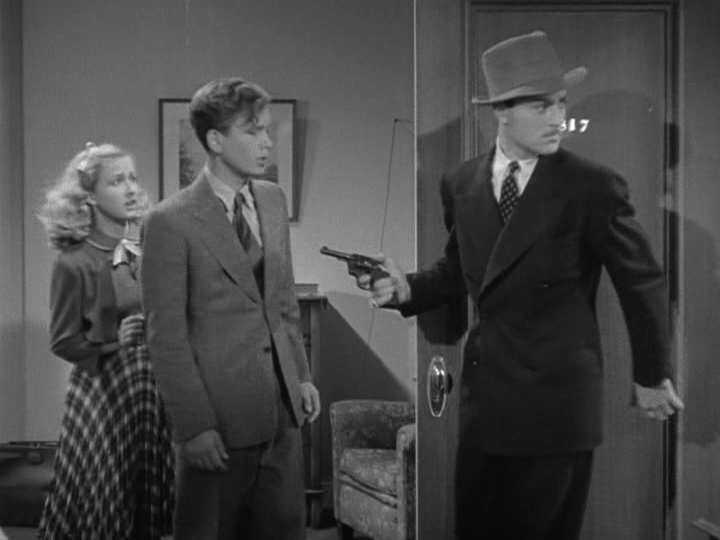 Nancy Drew, the famous girl detective, has made it to the silver screen on several occasions, but the early films from the 1930s are said to be the best. The only one available at the Internet Archive, and quite a gem at that, is Nancy Drew… Reporter. I will be the first to admit that my memories of those juvenile books are far too sketchy to allow any comparisons with this movie version, but whether true to the original stories or not, it cannot be denied that Bonita Granville’s interpretation of Nancy Drew is fresh, charismatic and full of vigour. Sure, she acts something of a spoiled brat, but does so with such charm that you have to forgive her. Her performance is very good for the most part, especially in the dialogues. The story, briefly, is that Nancy has entered a competition for young people to write the best news story. In order to get the best opportunity, she steals a real reporter’s assignment, which gets her involved in a murder case. But unlike everyone else, Nancy does not believe that the one the police suspects committed the crime. So with the aid of her sidekick and her lawyer father, she decides to try to find and frame the real killer. There is a certain similarity between this film and Danger Flight from the same year. Although one is for girls and one is for boys, both were made for juveniles, and both talk to the kids instead of talking down to them. This is certainly not always the case with modern juvenile films. This film is best enjoyed when you need a feel-good movie. This one provides exactly that, and does it well. Look for no deeper meanings. Nostalgic sentiments for Nancy Drew are not required, but may augment your experience. Alfred Hitchcock’s early films are only rarely the suspense filled thrillers that we are used to from his later works. There are many dramas and a few comedies. Some are interesting only for tracing Hitchcock’s development, but a few are genuinely good. One of those is Downhill. 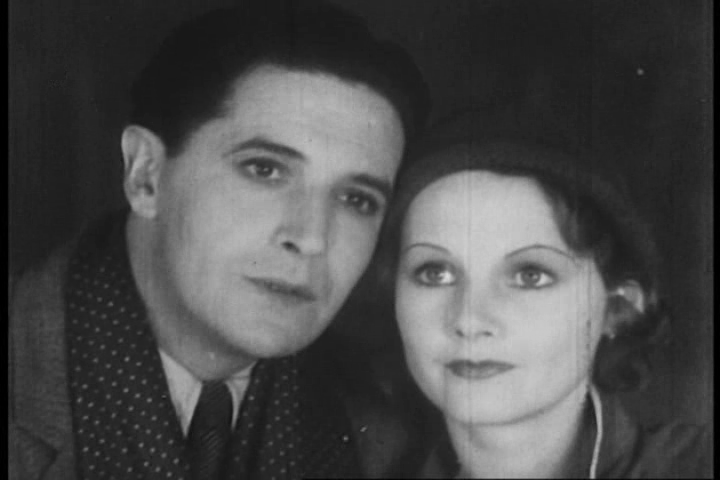 Downhill was the second time – after The Lodger (1927) – that Hitchcock used Ivor Novello as his leading actor. Novello, at the time highly popular, also worked on the script. Some believe that the story reflects Novello’s attitudes towards women. He was apparently a homosexual, and the women in Downhill are for the most part treacherous, deceiving and seeking lust or riches. This is a pretty risqué story, even though some of the moral implications may seem very dated today. Another important theme is that of friendship and trust. The friends Roddy (Novello) and Tim (Robin Irvine, also very good) go to the same school and are interested in the same woman. When Tim makes her pregnant, Roddy takes the blame and is consequently expelled from school and disowned by his father. This is the start of his moral and economic downhill ride in society, a ride which is sometimes depicted with brutal sincerity. 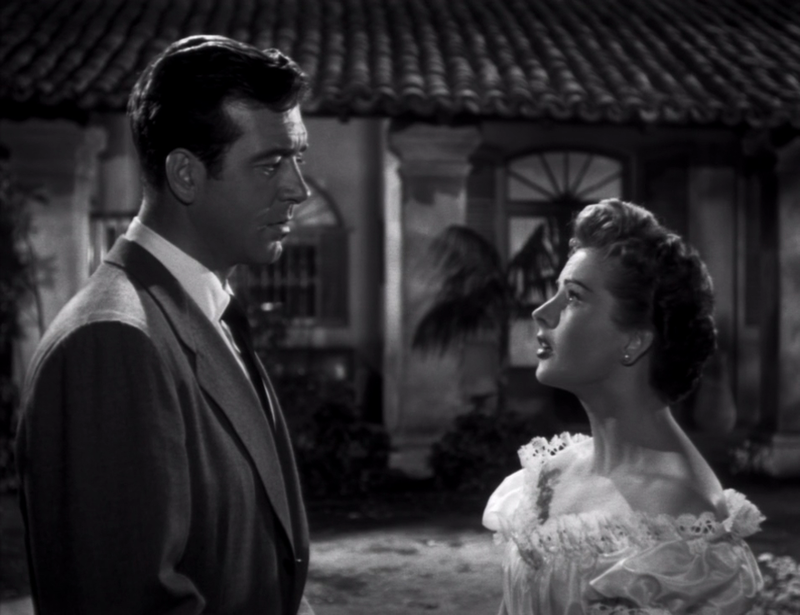 Hitchcock’s image compositions are terribly elegant, sometimes bordering on overdone. The influence from German Expressionism can be clearly seen (F.W. 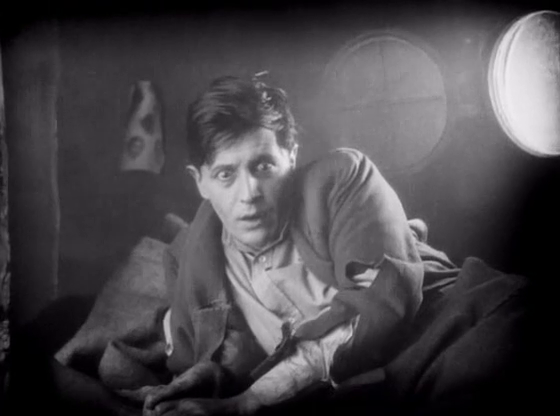 Murnau’s Der letzte Mann (1924) was one of Hitchcock’s major sources of inspiration). In fact, had this film been made in Germany, I am sure it would have been considered part of the German Expressionism. This film is best enjoyed if you do not expect a “regular” Hitchcock. 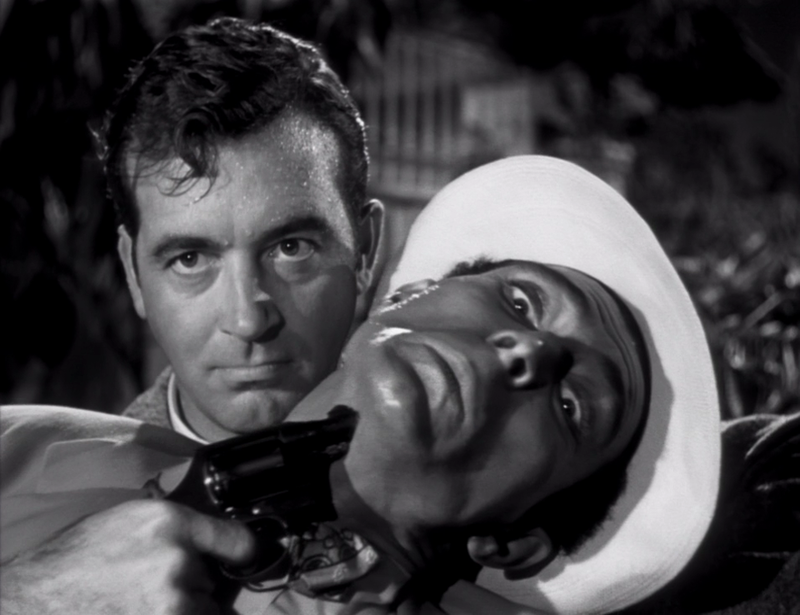 Downhill is a good silent drama, and Hitchcock is experimenting successfully with visual elements that he were to re-use later in many of his thrillers. The theme of the falsely accused is also used to great effect here. But no thriller or horror elements are to be expected, so while the lover of silent cinema is likely to enjoy this, the casual Hitchcock fan may find it a disappointment. Last week, I wrote about Alfred Hitchcock’s most famous silent film, The Lodger – A Story of the London Fog. Hitchcock was to return many times to the themes he started to explore in that film, but never again to that particular story. Others were to do so in his place, and it was remade in sound several times, the first as early as 1932, titled simply The Lodger. In America, it was released with the title The Phantom Fiend, and that version is available at the Internet Archive, as well as many other online movie sites. 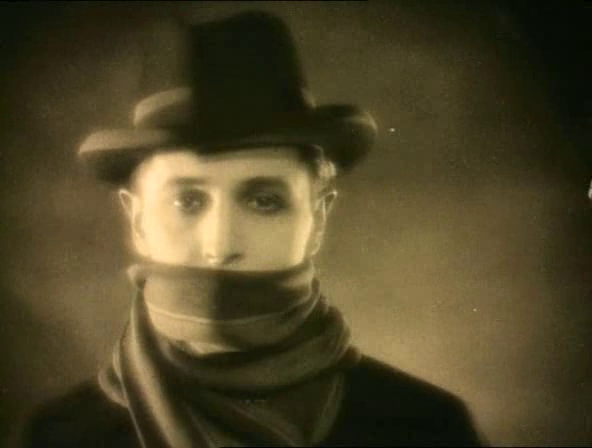 Ivor Novello reprised his role as the lodger who may or may not be a serial killer in a foggy and shadowy London. The overall story is exactly the same as in Hitchcock’s version, but some details differ. One of them is that Novello invested some of himself into his character. 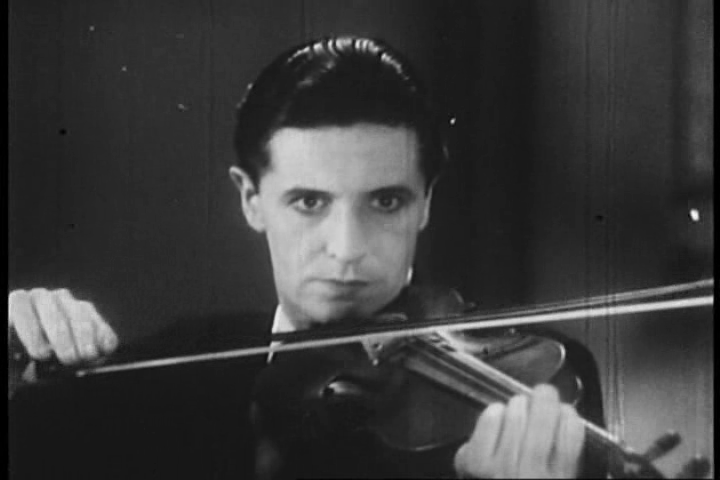 This time, the lodger, just like Novello in real life, is a musician and a composer. Director Maurice Elvey was no Hitchcock. Even though he does retain or copy some of the expressionistic elements of the original, his film is not at all as sinister or visually dramatic. But this version has other qualities. 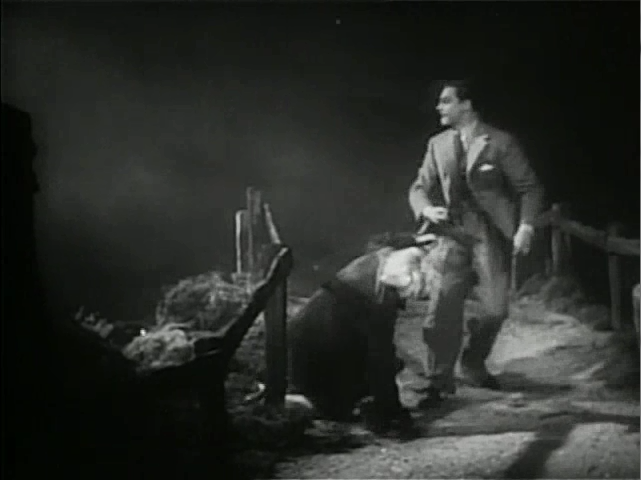 The added dialogue together with a very good script, co-written by Ivor Novello himself, gives this film much more depth in its character portraits, and the overall plot feels more rounded and developed than in Hitchcock’s version. Which version you prefer is a matter of taste. Personally, I like both, but of course Hitchcock is always Hitchcock. Curiously, the endings are quite different in the two versions. One might argue that neither ending is entirely satisfactory, or that they complement each other. Either way, it is interesting to compare the two. This film is best enjoyed in its original (and considerably rarer) British release. The American cut available at the Internet Archive is unfortunately compressed by almost a half hour, something which is painfully obvious on occasion. But if you do not have access to the original, then you can still enjoy this short version and Ivor Novello’s magnetic screen personality. I think it is safe to say that Alfred Hitchcock is best remembered today for his many suspenseful horror films and drama thrillers. His production of silent films is considerably less well-known, though some of them are not bad at all. In the 1920s, he was still perfecting his genius, but the fantastic storytelling skills can clearly be seen even in these early works. This is especially true of The Lodger – A Story of the London Fog. The Lodger was in fact the first film (as well as the only silent) in which Hitchcock developed his favourite theme: that of someone accused of a terrible crime and fleeing from justice. The police is investigating a series of murders in an area of London when a young man appears, seeking lodging with an elderly couple. The couple has a beautiful daughter, who is a perfect match for the muderer’s victims. They soon start to suspect that the young man may in fact be the killer, but they need evidence. In my opinion, Hitchcock succeeds even better here than in many later films, such as The 39 Steps (1935) or Young and Innocent (1937), in upholding the suspense. Up until a few minutes from the end, the audience is never quite sure whether the protagonist is guilty or not. Of all the films in Hitchcock’s output, this is perhaps the one that most clearly shows his debt to German Expressionism. A few years previously, he had been present during the filming of the great expressionist F.W. 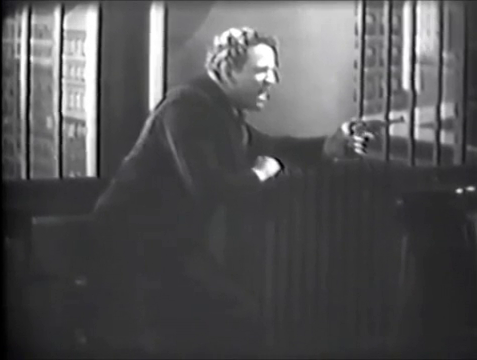 Murnau’s masterpiece Der letzte Mann (1924), and the influence can be clearly seen here. 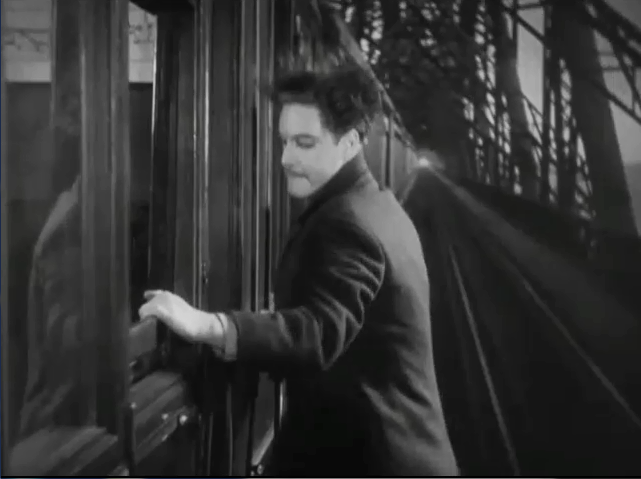 The Lodger was not only Hitchcock’s first suspense thriller, but also the first film where he made his famous cameo appearance. The reason is said to have been that he had to fill in for an extra who did not show up. The cameo is so hard to spot that there is no way I would have seen it if I had not known beforehand where to look, but if you want some sport you can try to spot him for yourself. This film is best enjoyed by Hitchcock enthusiasts who want to explore the master’s early work, but it has quite unfairly fallen into the shadow of Hitchcock’s later production. The Lodger – A Story of the London Fog has many good qualities, and is quite able to stand on its own legs. In the category of silent suspense thriller, it holds up well to the competition. 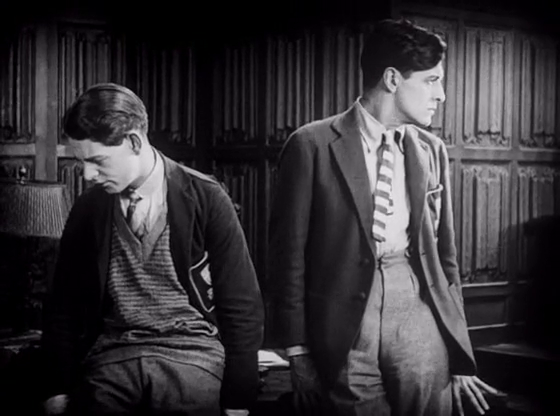 In addition, this was without a doubt the peak of Ivor Novello’s short career in the movies. The film is worth seeing for that reason alone, since he was a fine and unique actor.